Cuirfear tús le hÉigse na bliana seo ar an Aoine an 3ú Nollaig. Is é Nioclás Ó Cearbhalláin, Stiúrthóir Thaisce Cheol Dúchais Éireann, agus láithreoir an chláir ‘Come West Along the Road’ a dhéanfaidh an oscailt in Áras Éamon Mac Suibhne, Cúil Aodha, ar a 8.00. Beidh fíon agus cáis ar fáil. Beidh ceol ar dtúis ó Bhanna Ceoil Loch Ui Bhogaigh. Ceardlanna Ceoil, amhránaíochta agus Rince. Am: 10.30 – 12.30 agus 1.30 -2.30. Le h-áit a chur in áirithe ag ceardlann, glaoigh ar Bhríd Cranitch (026 45733) san Ionad Cultúrtha le foirm a fháil. Máire Ní Chéilleachair – Amhránaíocht ar an sean-nos. Dainní Maidhcí Ó Súilleabháin – Bailéidí Béarla. Cuirfear tús le hÉigse na bliana seo ar an Aoine, an 4ú Nollaig. Is é Seán Ó Liatháin, buan-chara le Diarmuidín a dhéanfaidh an oscailt in Áras Éamon Mac Suibhne i gCúil Aodha ar a 8.00 i.n. Beidh fíon is cáis ar fáil. Seolfar an leabhar ‘Arís’, bailiúchán griangrafanna le Con Kelleher, agus aon rud eile atá le seoladh, ar éis na h-oscailte. Tabharfaidh Dónal Ó hÉalaithe léacht ar shaol agus ar shaithar an Dochtúra Ó Loingsigh, mór-laoch de chuid Bhaile Mhúirne. Seinnfidh banna ceoil Chonail Uí Ghráda ceol. Beidh oíche mhór seiteanna in Óstán Ghobnatan. Seinnfidh Johnny Reidy an ceol, agus beidh tae ar fáil. 2 sheomra dúbalta agus 1 seomra singil. Trasna an bhóthair ó Oifig an Phoist sa tSráid Bhaile. 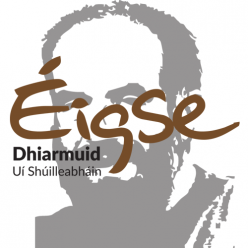 Glaoigh ar 026 45455 chun breis eolais a fháíl. A 3 bedroom house available for rent during the Éigse weekend. Call 026 -45455 for more information.